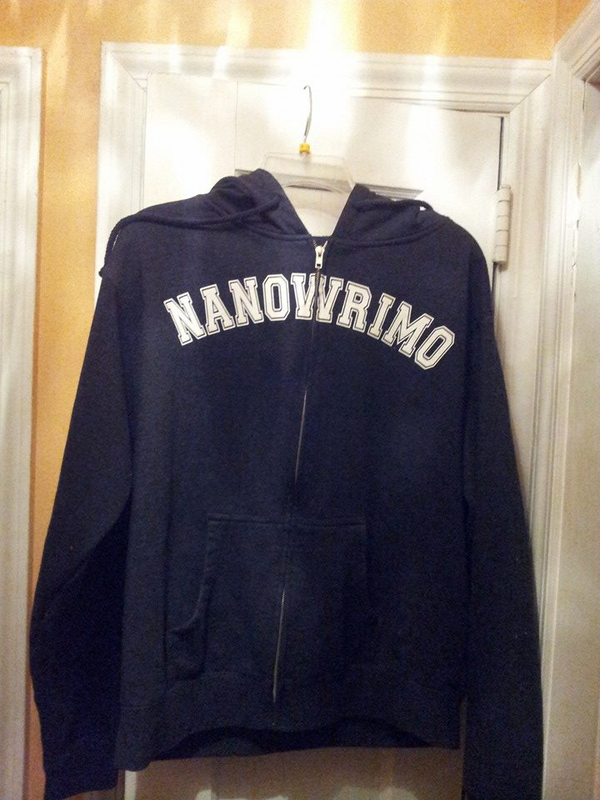 November ended and I hung up my NaNoWriMo hoodie. For the first time, I had participated in National Novel Writing Month—the month when writers around the world challenge themselves to write a 50,000-word novel. Outline in hand, I burst out of the gate on November 1st and, at the end of three days, I had cranked out 9,120 words. Since I work full time and my only writing time would be weekends, I did the math and found there was no way I could hit 50,000 words. But I committed myself to completing a first draft of a middle grade novel, no matter what the word count. To write that novel in a month, I couldn’t sit and agonize over finding perfect words while the clock was ticking. I just raced ahead and wrote, banning my Inner Editor (as the NaNo staff suggested). Instead of slowing down to make time-consuming decisions, I wrote notes to myself such as [DOES THIS MAKE SENSE?] or [MORE FARM STUFF GOES ON] or [SHOULD HENRY AND MARIGOLD NOT EVEN BE IN THIS NOVEL?] and kept moving. 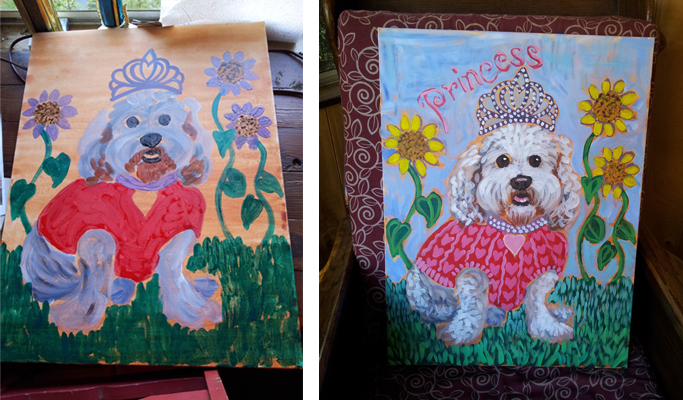 The lovely Princess Zisk, in broad strokes and then with final detail. You may see more of my work here. With writing, I do the same thing. I write in broad strokes to the end, then jump around in time and rearrange things, enhancing or playing down elements, leaving holes and filling in gaps, adding details and texture. Working around my canvas of words, I revise and revise until it is done. When NaNoWriMo was over, I ended up losing the official challenge, as predicted. But I won my personal challenge and wrote a 28,412-word first draft. I’ve got the broad strokes. Now it’s time to move things around, add layers and details, and finish my masterpiece (or at least maybe a queryable manuscript). NaNoWriMo was a quick and focused way for me to put aside a project that I’ve worked on for four years and to try something completely different. I know I’ll have the courage to face a blank canvas again next November. How about you? This entry was posted in About Writing and tagged dog, first draft, Mary Zisk, middle grade novel, NaNoWriMo, National Novel Writing Month, painting.